Nancy Evans is an expert in superstition and modern societies. She's been invited by her aunt, Mary Allen, to spend a few days in a quiet cottage by the sea. What she doesn't know is that, next to the cottage, there's a large, run-down house that has a macabre atmosphere. 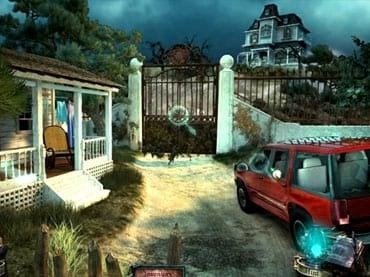 You play Nancy Evans and must investigate the strange phenomena coming from this gloomy house. According to Mary, it's haunted by ghosts. Indeed, her interest in mysticism has her thinking that the creaking that can be heard, the shadows wandering the halls, and the strange smell that sometimes prevails there are all very strange. Nancy goes there and is amazed to discover that the spirits are trying to communicate with her. They're leaving messages for help in the world of the living. What's happened in this house? - Solve complex riddles to advance in your investigation. If you have questions about Haunted House game, please contact us using this form.